When you’ve experienced total or partial tooth loss an implant denture can provide you a strong, secure tooth replacement. Your implant denture stays in place and will not move or shift as a standard denture often does. Your jawbone provides the anchor point for your implant denture. 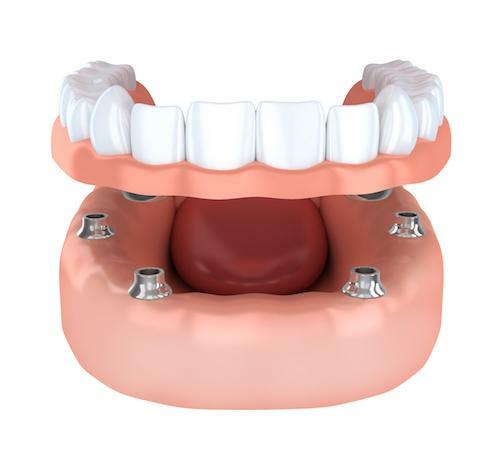 Single implants create a secure source for attaching your denture in your upper and/or lower jawbone. Your implant denture can be removable. This option allows you to clean it and to maintain your gum tissue health beneath it. Contact our dental office in Memphis about your tooth loss or to secure your current denture. Schedule an oral examination to discuss an implant denture.